Heavy duty Two Gallon Stainless Steel tank which is durable and pleasing to the eye. 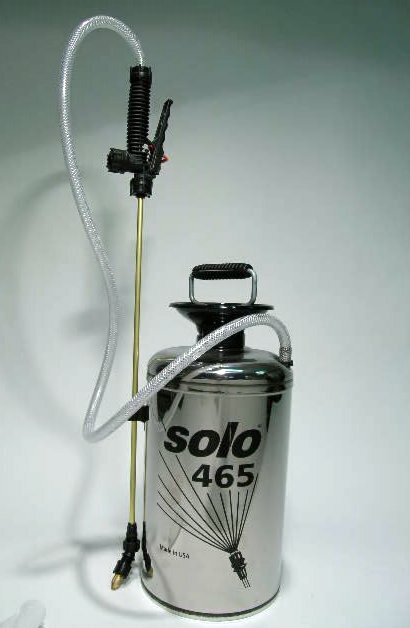 This sprayer features a brass wand, wide funnel top for easy filling and adjustable nozzle. It comes standard with carry strap and several nozzles. Like all the Solo sprayers, the valve and pump assembly are fully serviceable and easy to work with.